What makes UC Berkeley’s Marketing Analytics an XSeries programs and not a Professional Certificate? 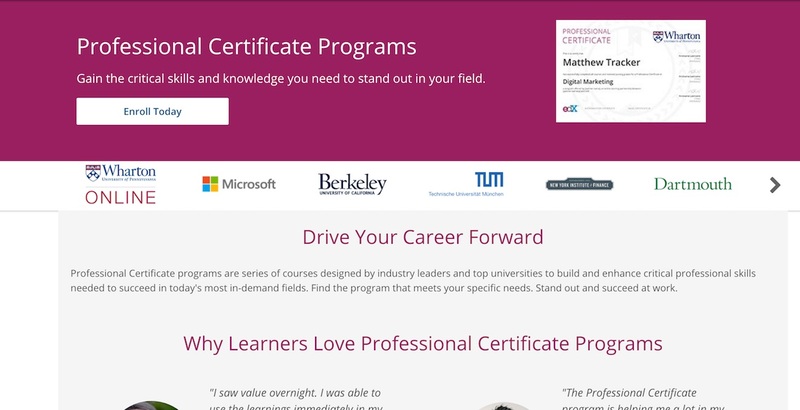 This is what I was wondering when, last month, edX announced yet another MOOC-based credential: Professional Certificate Programs. Depending on how you look at it, this makes it the third or fourth credential that edX offers. In September 2013, edX was the first provider to go beyond issuing single course certificates. They launched their XSeries program, which consists of a certificate gained from completing a sequence of courses. Somewhere in between, edX also added a Professional Education certificate. 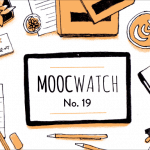 These are basically paid-only online courses, which can cost hundreds of dollars. So when edX announced their Professional Certificate program, I was a bit confused; why another program, and how is this one different? Is “Professional Certificate” just a re-branding of XSeries? Before we get into that, here’s a brief overview of the Professional Certificate program. Courses in three programs from the New York Institute of Finance, as well as Digital Marketing from Wharton, are paid-only (i.e. they have no free components; the courses in other programs are free). These programs are significantly more expensive than other programs, and they cost anywhere between $1,399–1,895. Professional Certificate vs XSeries — A Rebranding? The difference between Professional Certificate and the MicroMasters/Professional Education is pretty clear. 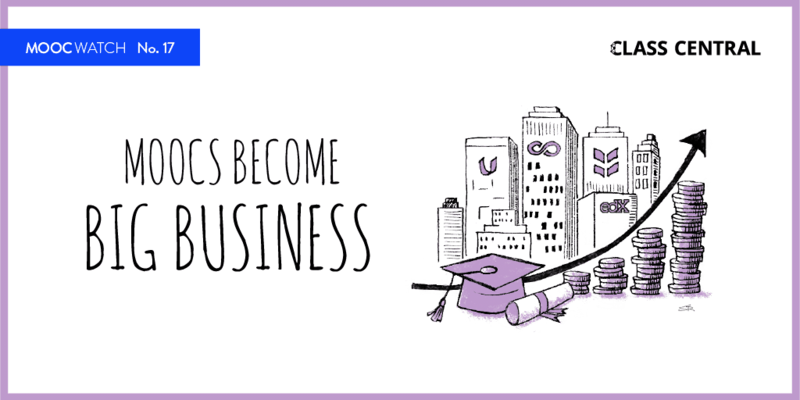 MicroMasters offer a pathway to credit that is roughly equivalent to one semester of a Masters program. I would expect MicroMasters to be more rigorous than a Professional Certificate. Professional Education is essentially just completely paid courses. The difference between Professional Certificate and XSeries is not quite that obvious. They are both a sequence of courses created by universities and companies, and which offer a credential at the end. What seems to separates these two is that the Professional Certificate is geared towards employment and professional training. In that sense, a Professional Certificate is just a subset of XSeries. 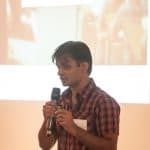 In fact, a few of the Professional Certificate programs were originally launched as XSeries programs first (some with different names) — namely Data Science for Executives from Columbia, Inclusive Leadership from Catalyst, and Front-End Web Developer from The World Wide Web Consortium. My take is that edX essentially rebranded a subset of XSeries to something that is easier to market/communicate to prospective students. 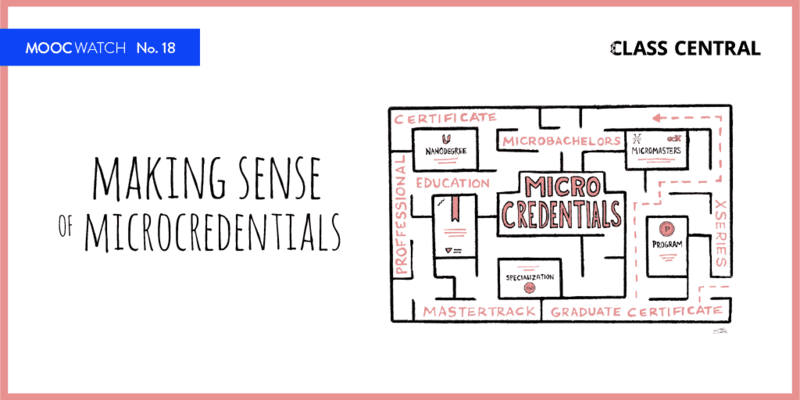 Other credential names like MicroMasters, Nanodegrees, and Specializations are somewhat self-explanatory and can stand on their own. This is not true for XSeries. “Professional Certificate” is self-explanatory, and it’s a very common term that’s been used for a long time. 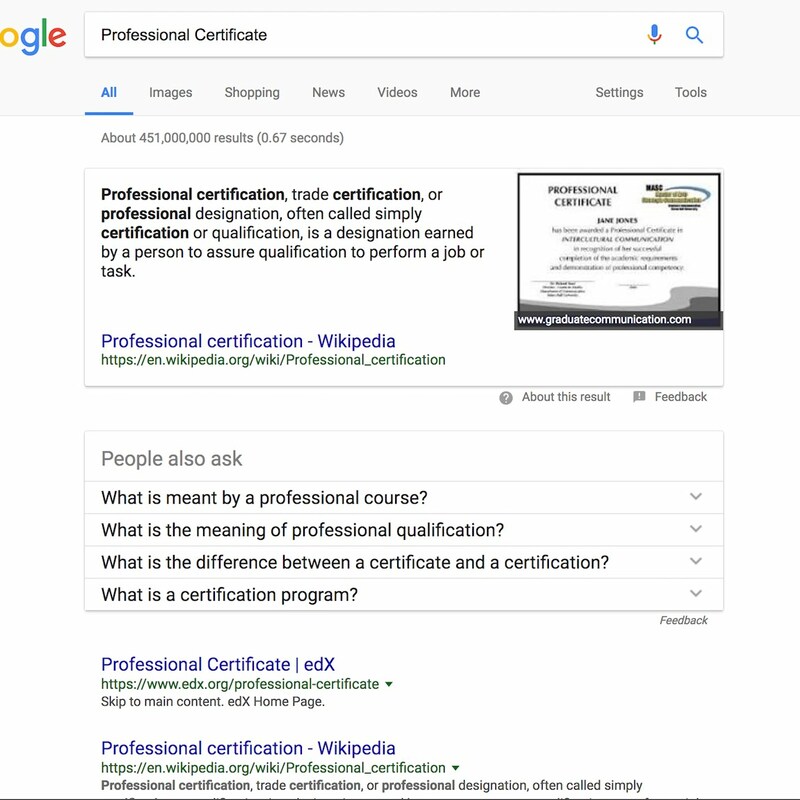 There is even a Wikipedia page for it: https://en.wikipedia.org/wiki/Professional_certification. EdX’s Professional Certificate programs page is the first result when you search for the term on Google. Thats a big win for them. 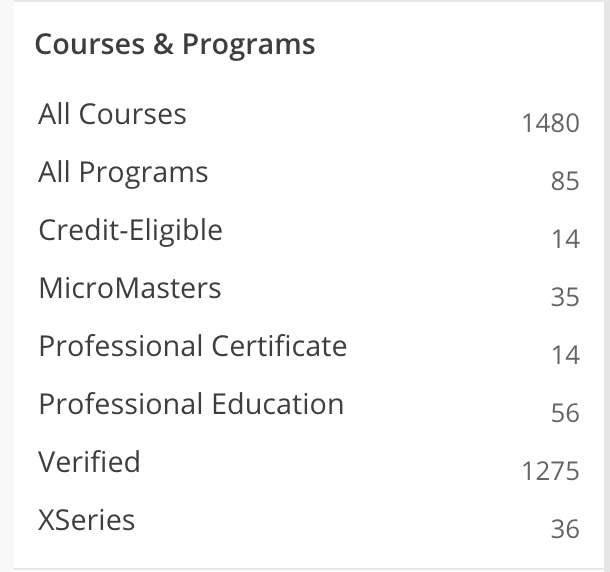 Eventually, I would expect a few more XSeries programs to be re-classified as Professional Certificate programs, and that most of the newer programs will be launched under the Professional Certificate umbrella.